Save money with RV repairs and auto body repairs on used or existing vehicles. Sutton's Auto Body Inc. Yuma, AZ > Auto body repair yuma tips > Uncategorized > Save money with RV repairs and auto body repairs on used or existing vehicles. RV repairs are more affordable than you think. The economy has really changed in the past few months. We have already seen a huge decrease in truck and RV sales, where as they were selling at a reasonable rate. Since so many people are trying to eliminate monthly bills and save money buying a new car is not always an option. If you want a new vehicle because your current vehicle doesn’t look so great, you should consider getting RV repair or auto body repair instead. RV repair and auto body repair is really the way to go in our continually changing economy. First of all you should know that there are a number of RV repairs and auto body repairs that can be completed on your vehicle. Some repairs include bumper repair, auto body repair, windshield repair, wheel rim repair, paintless dent removal, paint touch up, headlight restoration and much more. 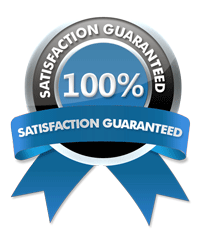 Auto reconditioning specialists will repair the existing materials on your vehicles auto body. They have many processes that are highly effective and come out look as good as new in most cases. The repairs are usually completed in two to six hours, which means you will be back in your vehicle faster. Most RV repair or auto body shops will work with your insurance to help cover some of the costs involved. However, many people find that they can find such good deals on auto body repairs that they can afford to just pay out of their own wallet. Buying a new car or RV is a big deal. When you buy a new car or RV you will be paying quite a bit for it. Not only will you be putting money down but you will be adding another bill to your current monthly payments. The average car payment among those already driving a new car is about $384.00. That is a lot of money to be adding to your monthly bills. To add to this, you are not only paying that one, two or even just ten times. You will be committing yourself to that payment for at least 4 years, which means you will make 48 payments of 384.00, and that is the average, it could be more. Our economy has changed significantly in just the past few months, people are losing their jobs, major companies are going under and prices just keep going up. I would surely think twice before deciding to buy a new car at this time. Sometimes you will find that if you need extensive RV repairs and auto body repairs they can be a little expensive. However most vehicles and Rv’s only need minor auto body repair to look great again. 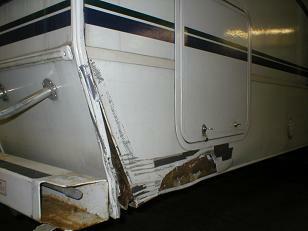 Getting minor RV repairs and auto body repairs is affordable with the average being just around $800.00. You may think that is a lot, but in reality it is only 2 payments on the average new car, rather than 48! That can save you a lot of money and also a lot of stress if our economy were to get any worse. So, consider getting your RV or vehicles auto body repairs before deciding to buy a new car in this crazy economy we are in right now! What to do if you need auto body or RV repair. Welcome to Sutton's Auto Body located at 4396 E.30th Place Yuma Arizona. Sutton's Auto Body offers quality RV collision and auto body repair services with professional, friendly customer service. © 1996 - 2019 Sutton's Auto Body. All rights reserved.